So here’s the deal: Chuck Wendig put forth his weekly flash fiction challenge, and it involved using a mixed drink randomizer. We were to use the drink it displayed as the title of our story. Confession: I got Indiana Jones the first time. Pretty sure that one’s been taken. So I reloaded the page and got Purple Shroud. I’ll try not to let this devolve into some weird Prince metaphor. Second confession: I’m a little distracted because my kid/school are in the midst of standardized testing and I’ve had Centuries by Fall Out Boy stuck in my head for two days and I’ve had a bit of wine tonight. All of those things will somehow influence the story, I’m sure. I scan the room and locate my console. It’s nestled comfortably on the far wall, between Trace, the nerd, and Marinda, the hottie. Not that it matters. Talking to anyone during the exam will result in our termination. As instructed, I leave my backpack by the door and proceed to my computer. I crack my neck along the way. I’ll be stuck in that chair for four hours, and getting up during the test to crack any joints is largely frowned upon. “Mr. Jenkins, I suggest you take your seat,” the hologram of the proctor says. Creepy how she can see us from her place in some other building, where she gives directions to over a hundred classes at a time. My friends and I have a bet about how many slack-jawed dudes are staring at monitors all day, just waiting for us to break protocol. I bet they drool on the keyboard at least daily. The teacher wouldn’t even know my name, if not for my console number embroidered on the sleeve of my official exam shirt. I settle in place and log into the program, ready for our bi-weekly assessment. Seems silly to me. We’ve barely had time to absorb any new information since our last test. They say we need to do this in order to be ready for college. Today’s test is about the history of Europe, specifically about the events from the Black Plague to World War 1. I’m sure that information will totally help me land a business administration or computer programming job. “Ladies and Gentlemen, welcome to the fourteenth exam of the College Readiness Assessment Program,” the proctor begins. I zone out. After hearing this thirteen times this year and eighteen times last year, I have the script memorized. The console on the other side of Marinda is unoccupied, as I knew it would be. That used to be Brad’s console, before he announced in front of everyone he wanted to be a painter for a living. We haven’t seen him since. The non-compliants disappear, and we don’t get to know where they go. I miss the stupid jokes he told at lunch. The exam begins, and I plod through the questions. Plague. Revolution. Francis Ferdinand. Blah blah blah. I shake my leg under the table, where I’m sure the monitors can’t see my anxiety and interpret it as defiance. My head is in last night’s rehearsal. Our band finally has a gig. My work on the bass hasn’t been wasted, as everyone insisted it would be. And I didn’t need to know a damn thing about Francis Ferdinand to get the job. Halfway through the test the unthinkable happens: my phone rings. I forgot to leave it in my car! Had I been listening to the proctor, I would have realized it was still in my pocket and thrown it into the hall. A ringing phone could result in immediate termination from the program. I yank my phone from my pocket at lightning speed and silence it. It’s my mom. Why in God’s name is she calling me now? Is she totally clueless? My stomach clenches into a knot. Though I know my peers share my panic, none show it. Doing so would result in their own terminations. Upon reaching the hall, I’m greeted by my principal and two other official looking guys I don’t recognize. “Yes, sir.” Maybe being super cooperative would get me a break. “And you know pursuing a course of study outside the guidelines of the state is also forbidden,” he says. What? “What do you mean?” My heart races, sure I know what he means. I swallow in spite of my dry mouth. A sharp pain hits my neck; one of the other guys is sticking something in it. 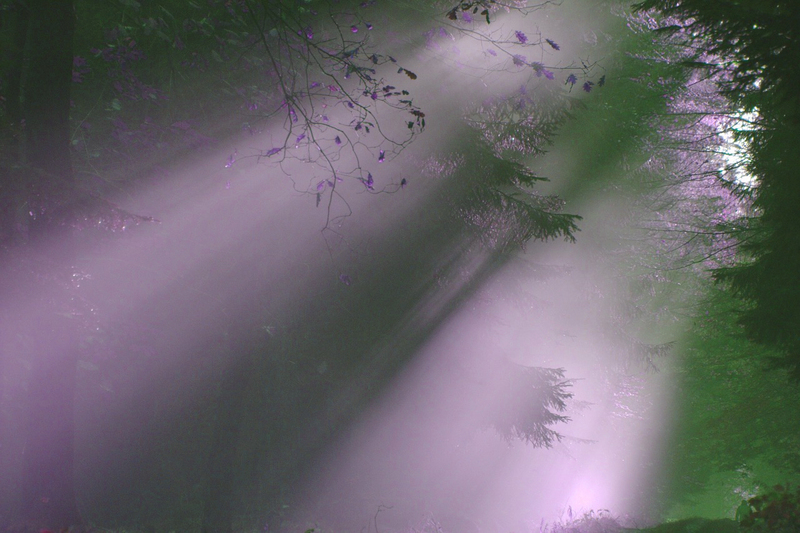 My mind becomes hazy, and a purple shroud covers my vision. It’s beautiful, and it calms me as I pass out. I wake in a windowless room. Someone is shaking my arm. He’s grinning wider than I’ve ever seen. I sit up. “Where are we?” I’m on the floor in a huge room, surrounded by other teens milling around. Like them, I’m wearing a blue jumpsuit. I wonder who undressed me while I was unconscious. “You were terminated,” he says. Scanning the room, I recognize a few former classmates. Singers. One who liked to work on cars. Athletes. All terminated from the program, some since last year. A few are gathered around tables, as if planning something. “How long have they been here?” I ask. “Think about it. Who’s here? The artists. The strongest athletes. The problem solvers. If anyone can think their way out of here, it’s us!” He stands, grabs my arm, and pulls me to standing. “Our parents don’t know if we’re alive, so why look for us? It’s up to us. They say we’re non-compliant, so they won’t be surprised when we storm their castle!” He laughs. I can’t help but laugh with him. I follow him to one of the tables, where a group is studying a hand-drawn schematic. I think the younger version of my teens would enjoy this one. Will share.